"Steamy Windows" is a single from Tina Turner's 1989 album ‘’Foreign Affair". It’s written by Tony Joe White and produced by Dan Hartman. "Steamy Windows" was released as the album's second single in November 1989, and third single in the United Kingdom and Ireland in February 1990. Released as the album's third single, it became a top ten hit in Belgium and Ireland, while reaching the top forty on the majority of all charts it appeared on. Twenty years after his solo hit "Polk Salad Annie," the Louisiana songwriter Tony Joe White charted again as a composer when Tina Turner recorded "Steamy Windows," which was one of four songs he demoed on a cassette, hoping Turner would record them for her album. Turner recorded three of them: "Steamy Windows," "Undercover Agent for the Blues," and "Foreign Affair," which became the title track of her album. "Steamy Windows" is about getting intimate in the backseat of a car on a lonely stretch of road. When the windows steam up from the body heat, it creates some natural privacy and makes the setting even more sensual. Typically, it is the guy who sets up the "making out in a car" scenario, using any trick he can think of to make it happen ("We're out of gas..." "There's a great view up here..."). Turner could have sung the song from the perspective of the girl being courted, but instead, she simply transposed the gender and sang about trying to get the guy into the back seat ("there's something about a confrontation on a back road... breaks down the defense"). By flipping the traditional gender role, Turner was asserting her confidence, making it clear that she was the one in charge (and driving the car). Tony Joe White released his own version of this song on his 1991 album Closer To The Truth. He recorded it in his folky, unaffected style - the same way he had been performing his whole life. Tony was asked if he was ever tempted to sing the song like Turner, he replied: "No, because I had recorded the songs pretty swampy, just my own style, and it stayed that way all through her sessions. She kept the same chord changes and everything. 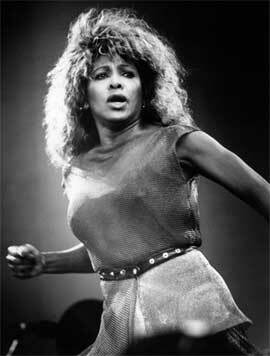 Nobody would be foolish enough to try to sing like Tina Turner." 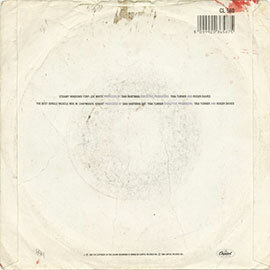 The single was released in several versions with different B-Sides. There’s a version with a 7" remix of "The Best", a version with "Not Enough Romance" as B-side, which is also included as a track on the "Foreign Affair album" and a limited edition with "Bold And Reckless" as B-side. 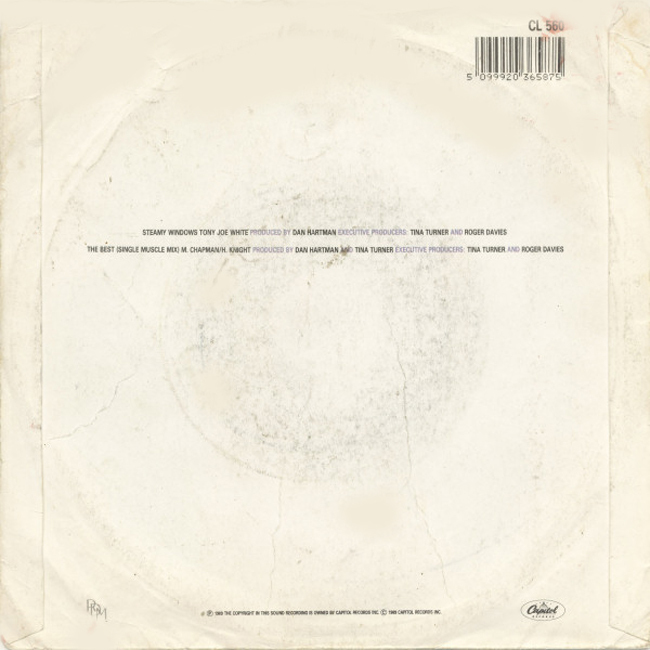 "Steamy Windows" was also co-produced and remixed by Justin Strauss and Murray Elias, and it was also issued as a separate remix single in certain territories. "Steamy Windows" has been covered two years later by country artist John Anderson for his album "Seminole Wind" as well as country artist Kenny Chesney. Turner performed the song as the opening number during her 1990, 1993 and 2008/2009 concert tours and it was also included in her setlist during her tour in 1996 and 2000.